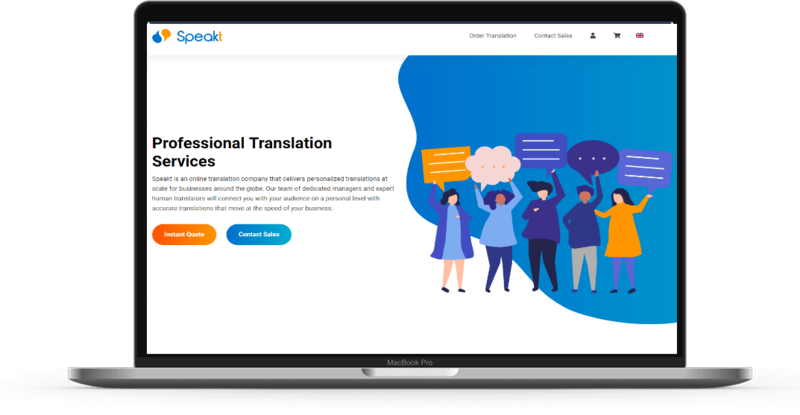 Speakt is a fast-growing online translation service that offers human translation services in over 35 languages and over 2,000 language pairs. Speakt focuses on business translation services for companies around the world. Speakt knew they needed to improve their online presence to reach their core audience and grow online sales. Boost your online visibility & sales with precise website content! We spent time with the Speakt leadership team to understand their business needs. Once we understood what their company needed, we conducted comprehensive SEO research to ensure we integrated keywords to help drive qualified leads to their new website. Speakt provides more than translations because they connect businesses and customers with human-driven language translations. 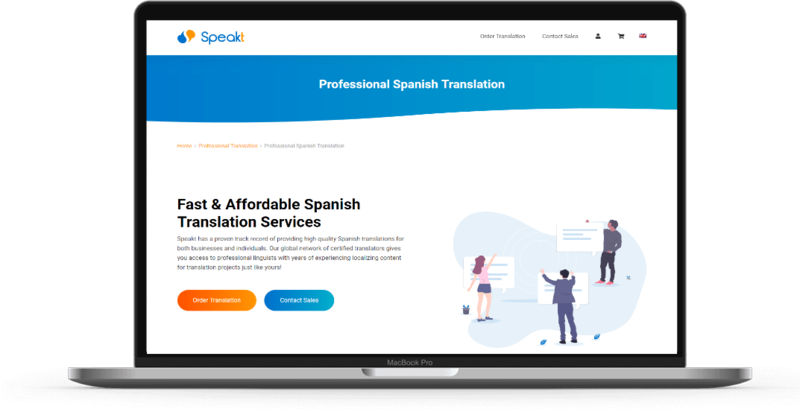 Since Speakt services many industries that demand perfect translations, we looked at their core audience and build engaging content around the needs of the market. There are many online translation services so we knew effective website content was needed to help drive their business goals. We used our knowledge in SEO marketing and copywriting to craft precision content to speak to the needs of their audience and drive more sales. Speakt requires strong online visibility to drive sales and grow its user base. The leadership at Speakt has a strong handle on who their audience is, so our team partnered with them to deliver content that would help them rank in search engines and drive more sales on specific landing pages. We took a holistic approach to help Speakt achieve success online. We conducted complete keyword research, created unique content for all pages, and put each page of content through several rounds of editing. Need a new website or a content refresh?